I admit it: I’m lazy. A lazy cook, a lazy gardener…I like to set things up and let them do their own thing with minimal input from me, which is why I’m fond of permaculture, biodiversity, sustainable foraging methods and perennial native plant gardens, not to mention eating weeds. So when it comes to my kitchen processes, do you think I stop being lazy? Of course not! 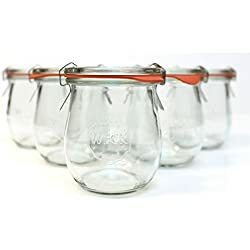 So when I’m faced with a bucket full of strawberries for pies, jellies, syrups, and pancakes, do you think I expend the time and energy to hull the berries? No. Nope. No way! I just chop the tops right off of the berries, taking a bit of fruit along with the greens. Yes, I may be lazy, but I am not wasteful. I don’t throw this perfectly good fruit away! When the rest of the canning work is done, I arrange the berry tops neatly on my dehydrator trays and let the magic of preservation take place. Some people like to soak their berries in lemon to cut down on the browning of the fruit. Others tell you to dip your fresh berries into sugar before drying them, but remember – I’m lazy! I haven’t tried those methods myself. 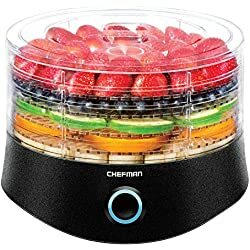 Just follow your dehydrators’ suggested settings for fruit, and within a few hours you can pull the berry tops off of the trays and put them in a jar to save for later use! 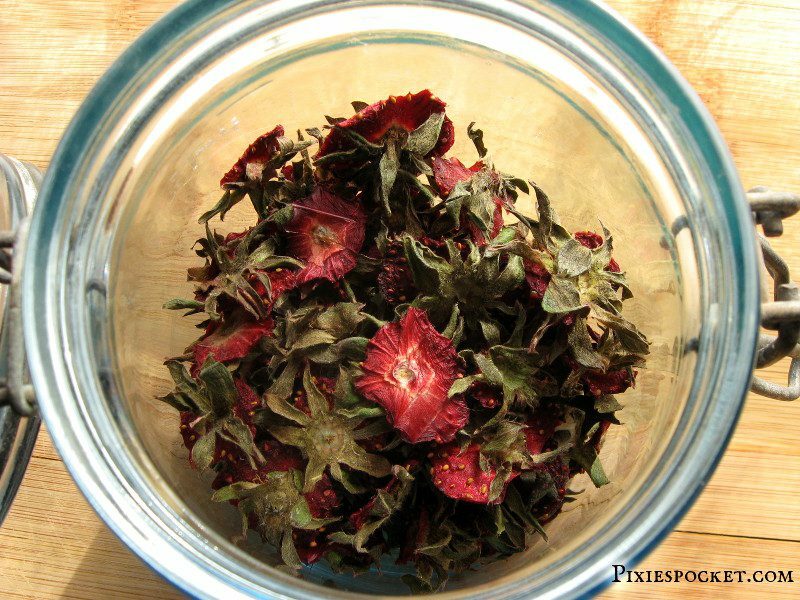 Add your dehydrated berry tops, greens and all, to your pot of iced tea when it is on the boil, or to your cup of hot tea at night. 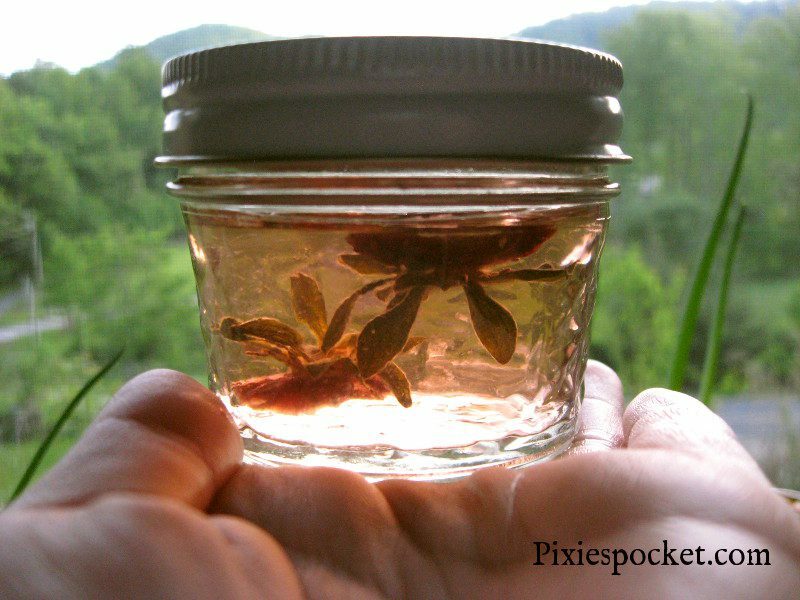 You can even use them as a tea on their own, just two or three tops give you a touch of strawberry flavor and make a lovely pink infusion. Strawberries can also be used in your beauty regimen. Soak a handful of these dried berry tops in witch hazel and strain after a week to make an extra-astringent face toner. To use it, just apply it to your face with a cotton ball and enjoy! (Do a small test first by putting the witch hazel on your inner arm. Wait 10 minutes and watch for rashes or itching. This is a good experiment to try with all new products if you have sensitive skin). Have you ever dehydrated strawberries? How did you use them? I recently started drinking raspberry leaf tea for health benifits, so this made me wonder if there are any health benifits to strawberry top tea? Oh wow…I would have NEVER thought. This is awesome, sharing it! 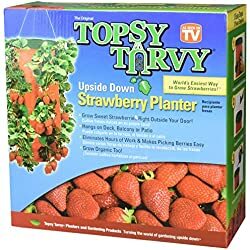 While I was doing the drying the strawberry tops experiment on my own before reading this, its great to know that I was right and it will make a good tea. Plus, bonus kudos on the skin astringent tip! I had no idea you could do that, and I have a teenage daughter fighting w/ acne cuz of her first job. She’ll love this. We’re already big fans of witchhazel because it cleans the oil w/out drying out your skin like most commercial products. Oh, yay! I’m glad I could back up your instinct! 😀 I hope the strawberries help your daughter! It also might help if you throw a few violet leaves in there – they are high in salicylic acid, the same thing in a lot of over the counter acne meds.